How do I apply for SINP Occupation In-Demand? Canada is on the top of the countries that serve the Best Quality of Life to its Citizens and this makes Canada the most preferable country in case of migration. All of its provinces and territories are best in their own speciality. Saskatchewan is a western Canadian province known for its grain farming and cold winters. It is a land of agriculture and beautiful sunsets and also known as the largest producer of potash in the world. Apart from the Express Entry Program, the government of Canada has introduced a program named the Provincial Nomination Program (PNP). Provincial Nomination Program (PNP) is an immigration program through which the provinces and the territories (except Quebec) are allowed to invite interested migrants to their province or territory. Basically, this program is designed for a skilled worker who wants to migrate to Canada. This program allows provinces to select skilled workers according to their need in the labour market that can contribute to their economy. Quebec has its own immigration rules to select interested migrants. Quebec has its own program named the Quebec Skilled Worker Program (QSWP). Know About: What is a Skilled Worker in Canada? Saskatchewan being a province of Canada selects skilled workers through Saskatchewan immigration Nominee Program (SINP). It targets migrants who are skilled and have experience. There are four categories through which you can apply for a Permanent resident Visa in Canada. SINP occupation In Demand comes under the category International skilled worker category. Through SINP occupation In Demand, highly skilled workers who have not received any employment offer from an employer in Saskatchewan. 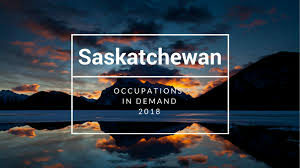 Thus, this Sub-category is designed for all those migrants who are highly skilled in an In-demand Occupation but have not received any job offer from an employer in Saskatchewan. These highly skilled migrants must meet the eligibility requirements of the sub-category of International skilled worker category. Know More: What is a Canadian PNP program? To apply for SINP occupation In Demand, you must submit an Express of Interest (EOI). EOI is just a pre-application process that allows candidates to fill in an online form to indicate their interest in applying to the SINP and demonstrate their qualifications. If you are eligible and meet selection criteria, then you will receive an invitation to submit an application. The points scores associated with an Expression of Interest profile will determine the chances of receiving an invitation. Applicants with high scores within the pool of candidates will have a greater chance of being invited to apply.